Why See If You Give a Mouse a Cookie? 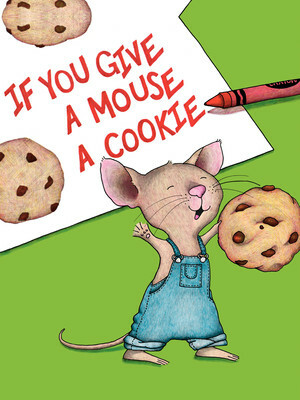 So what does happen if you give a mouse a cookie? Well, first he'll want a glass of milk to drink with the cookie, and then he'll need a straw and then...well, we won't spoil it for you, but things get VERY messy! This delightful family production is based on the best-selling 1985 children's book by Laura Numeroff, which went on to spawn the whole series of If You Give...books. The latest entry, If You Give a Bear a Brownie was released last year. The show is a non-stop parade of Dr. Seuss-style silly slapstick and colorful costumes, and is perfect for children of all ages. If You Give A Mouse A Cookie is created by Etico Productions, who have a solid track record of adapting kids' books into uniformly entertaining stage shows. It returns to Detroit's City Theater following a successful run in 2013. There is an additional performance on Saturday June 6 at 2pm. Sound good to you? Share this page on social media and let your friends know about If You Give a Mouse a Cookie at The City Theatre. Please note: The term The City Theatre and/or If You Give a Mouse a Cookie as well as all associated graphics, logos, and/or other trademarks, tradenames or copyrights are the property of the The City Theatre and/or If You Give a Mouse a Cookie and are used herein for factual descriptive purposes only. We are in no way associated with or authorized by the The City Theatre and/or If You Give a Mouse a Cookie and neither that entity nor any of its affiliates have licensed or endorsed us to sell tickets, goods and or services in conjunction with their events.